It’s no secret that greenhouse gases affect the climate and that our current rate of fossil fuel consumption is quickly depleting the planet’s oil and coal reserves. We seem to forget that these are non-renewable resources—Once they are gone, they are GONE! Without a shift in how we produce and use energy, we will soon be facing an energy crisis of enormous proportions. Fortunately, the abundant supplies of green energy—wind, water, and sunlight, can be used to produce energy that is clean and efficient. Until changes are made on a global scale, it is up to individuals, or small communities, to change their primary sources of energy one at a time. With the different sources of green, renewable energy available, we are in a position to make changes that will benefit not only us, but the entire planet. Let’s look at some of the reasons why green energy is the best solution. It’s Clean. Green energy doesn’t cause the release of carbon dioxide into the atmosphere. It has no potential to cause harm to the environment like fossil fuels can, such as in the case of an oil spill. It’s Renewable. There is a finite amount of fossil fuels on the planet, and supplies of coal, gas, and oil are diminishing more rapidly now than ever before, which means that reserves will eventually run out. Green sources of energy renew themselves, so they will always be available. It’s Safe. Green energy is safe for those who build and maintain the energy source and who consume it. This is not the case for other sources of energy, including nuclear power and fossil fuels which can have devastating effects on one’s health as well as the environment. It’s Widely Available. 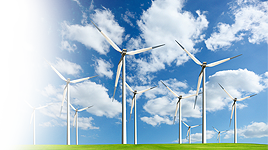 Sources of green energy are available worldwide and at high levels. This eliminates the huge costs associated with transporting oil, coal, etc. all over the globe to distant locations. It’s Cheap. If we think of the Sun, water and wind as raw materials, they cost nothing. It Reduces Global Conflict. Throughout history nations have gone to war over resources. When one region has a fossil fuel that others don’t have, conflicts arise. Those without have to try to negotiate deals with those who do have the raw materials. As supplies dwindle, this will become impossible for some and very expensive for others. Renewable energy sources are unlimited, and everyone has access. It’s Independent. Once you have an established system for producing energy from a renewable source, you are not dependent on a company to provide you with energy. It’s Economically Certain. The costs associated with fossil fuels are volatile and ever changing. Costs associated with green energy are stable and predictable, which keeps everyone on budget. It’s Eco-Friendly. There are no adverse effects on the environment with green energy. No oil spills, leaking pipelines, strip mining, etc. Turbines that generate energy from tides, or wind and sunlight have no negative affect on the fragile ecosystems of the earth and it’s oceans. It Supports Communities. Green energy is not limited to individual households. Entire communities can be run from solar power. It Taps Natural Resources. With a little more than 70% of the planet covered by water, it makes sense to use the tides as a source of hydroelectricity. Green energy is the better alternative because it offers numerous benefits for you and for the environment. It is renewable, and once you are set up, you have a constant source of energy that will not be depleted and is not subject to interruption. It is also cost effective, and supply and demand do not affect pricing. With sources of clean, renewable energy, the ecosystems of the planet are not being destroyed, and limited resources are not being used up. With green energy, you and the rest of the planet benefit, so you can consume energy guilt-free. 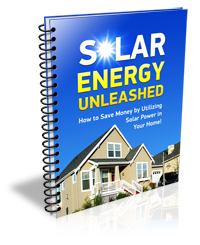 Save money by utilizing solar power in your home and find out why the power companies don't want you to know that this is the wave of the future.